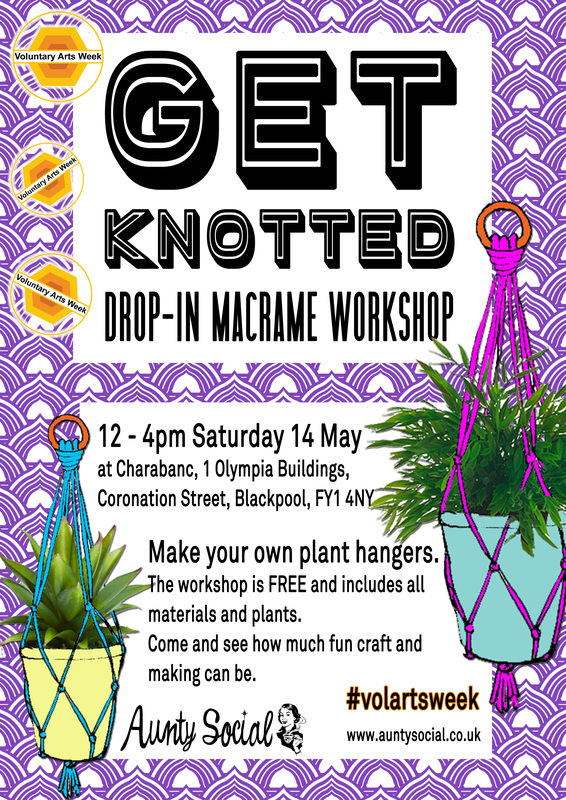 Macramé (making textiles using knotting techniques) has made a huge comeback, so we’re hosting a drop-in beginners sessions in Charabanc this Voluntary Arts Week. Anyone can come and have a go at making plant hangers. The workshop is FREE and includes all materials and plants. You can take your hangers home with you too! Come and see how much fun craft and making can be.